This is a very popular wheel change for Vespa GT, GTS and GTV models. Bolt right on Pre ABS models, both front and rear. in order to be able to mount these items onto the Vespa GTS/GTS Super models equipped with ABS the wheel hubs or the front wheel require machining. The rear ABS sensor can be repositioned slightly using a spacer. 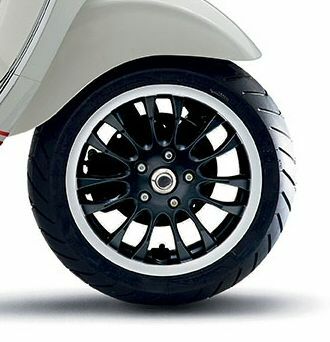 in order to be able to mount these items onto the Vespa GTS/GTS Super models equipped with ABS the wheel hubs or the front wheel require machining, as the wheels have a incompatible mounting height. Alternatively, the rear ABS sensor can be repositioned slightly using a suitably dimensioned spacer washer, which leads to a minor misalignment. Would these be a direct swap for a 2016 Primavera non abs non i-get? This is the front rim only, and we ordered them to put on the GTS, so we don't have the rear rim, which is different on the Primavera than the one on the GTS. 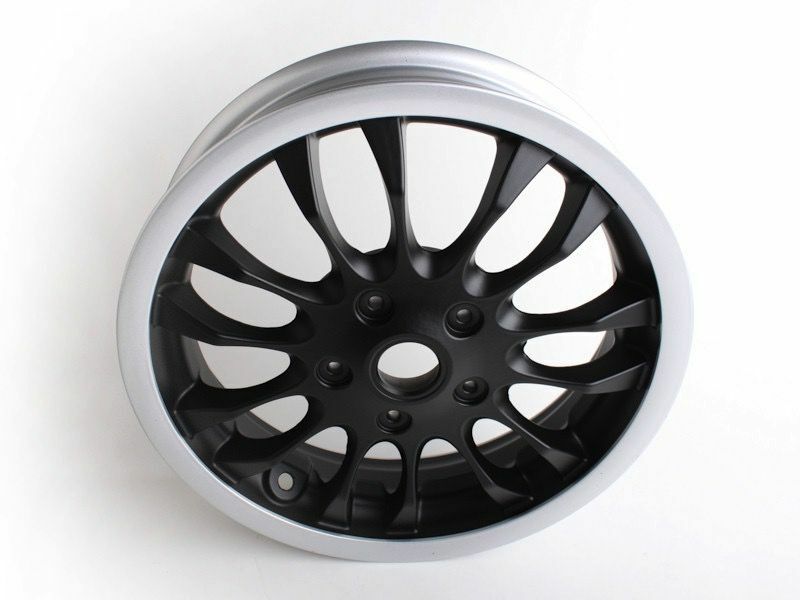 We do offer them as a set for the GTS, GTV and GT, for a better price and with free shipping within the continental US.